EghtesadOnline: T wo top American financial institutions would not commit to cutting Iranian access to international financial markets, a cornerstone of the new anti-Iran sanctions of US President Donald Trump's administration. This fuels concerns among US officials about efforts by European countries and Iran's regional allies to skirt the new American sanctions ahead of a Nov. 4 implementation deadline, Washington Free Beacon has reported. 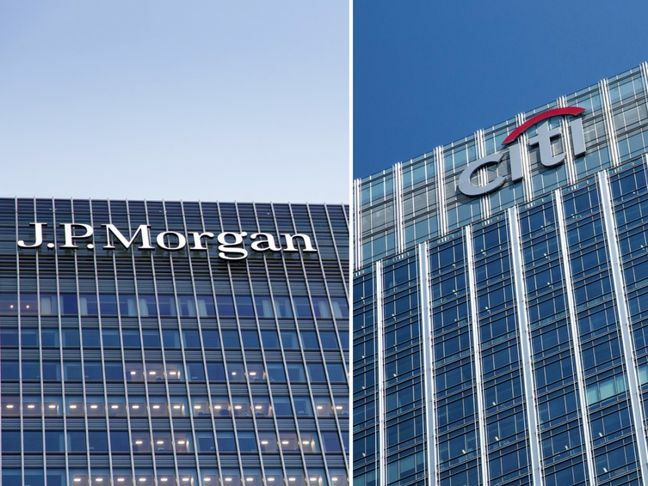 J.P. Morgan and Citibank—top American financial institutions that sit on the board of the SWIFT financial network that facilitates international banking transactions—declined to respond to inquiries into whether they intend to disconnect Iran from the network and comply with the Trump administration's sanctions. Both banks could play a pivotal role in ensuring SWIFT and its members obey the new sanctions targeting the Central Bank of Iran and its critical infrastructure networks, Financial Tribune reported. However, an ongoing standoff between European allies and the Trump administration over the implementation of new sanctions threatens to force these US financial institutions to pick a side. The European Union, which has been working for months to help Iran skirt the new US sanctions, approved earlier this week a $21 million financial package for Iran. German officials have called on its allies to build independent banking systems that cannot be hit by US law, a move that has fueled diplomatic tensions and put US banks in a particularly delicate situation. Writing in the German Handelsblatt newspaper, German Foreign Minister Heiko Maas called for the setting up of independent payment channels, largely as a way for European businesses to avoid US sanctions targeting any firms—whether inside or outside the US–that do business with Iran. "As Europeans, we have clearly told the Americans that we consider phasing out the nuclear deal with Iran a mistake," Maas said in an op-ed for Handelsblatt on Wednesday. Congressional efforts to ensure US banks and others disconnect Iran from SWIFT also have been met with muted reaction. Senior US officials and leaders on the Capitol Hill have been pressuring global banks, including those in the United States, to choke Iran's global financial access, particularly via SWIFT, the leading provider of financial transactions and banking information worldwide. A delegation of 16 Republican lawmakers on Thursday called on SWIFT to immediately disconnect Iranian access or face the brunt of new US sanctions, which could hit both American and European financial institutions that decline to enforce the measures. "Quick robust enforcement will be critical for the administration's maximum pressure strategy to succeed," the Republican lawmakers wrote to Treasury Secretary Stephen Mnuchin. "The administration's maximum pressure campaign will not succeed, if the Islamic Republic remains connected to SWIFT." US officials, who have been working on these efforts for months, told Free Beacon that US banks such as J.P. Morgan and Citi are being reminded they will not be spared from the Trump administration's sanctions if they do not take steps to cut Iran's access to SWIFT and other financial networks. "There's a time for a light touch and a time for not," one US official involved in the sanctions push said. "Our officials have been holding educational sessions all over the world explaining that no matter where in the world you are, if you undermine the president's pressure campaign, we will find ways to hit you with billion dollar fines." Richard Goldberg, a senior adviser to the Foundation for Defense of Democracies who has been advocating for SWIFT to disconnect Iran, told Free Beacon the American banks on SWIFT's board are facing a critical decision. "There is an enormous amount of risk here for SWIFT and its directors to be taking on," said Goldberg, a former senior Senate staffer who helped architect the original sanctions on Iran. "We wrote this sanctions law back in 2012 with the banks on the board in mind. That's where the president has the leverage to force SWIFT to act. This is something SWIFT should be doing already under its own corporate rules." Goldberg said it is unfortunate they'll only act under the threat of sanctions. This is precisely the kind of threat Europeans want to challenge by setting up their own financial network. The US state and treasury departments did not respond to request for comment by Free Beacon.